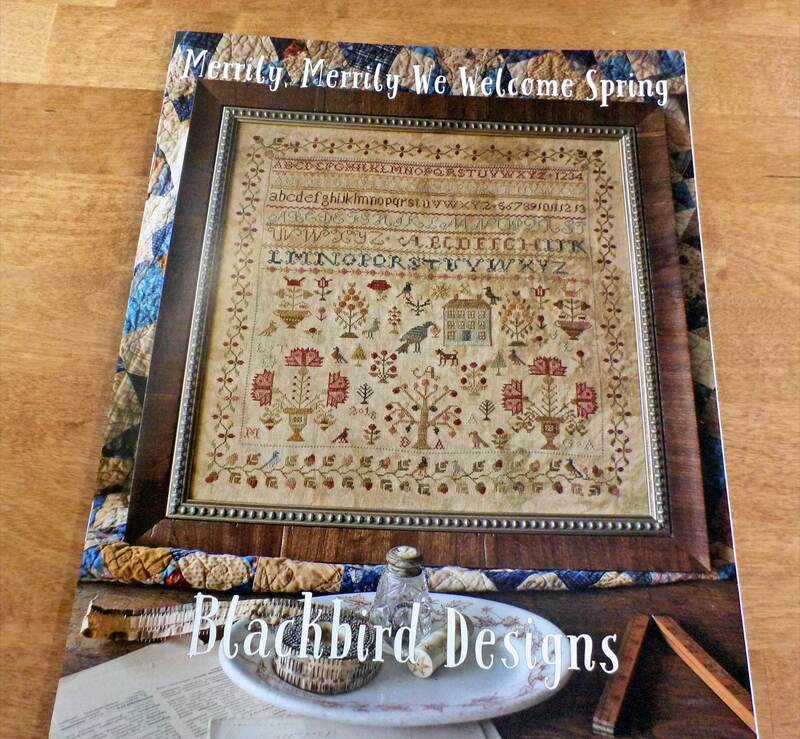 Merrily, Merrily We Welcome Spring by Blackbird Designs...cross-stitch design. Keep the springtime feeling all year round with this wonderful cross stitch project. Wonderful motifs, flowers, borders, and letters are sure to keep you thinking of the melting snow and popping buds even in the coldest of months. Merrily, Merrily was inspired by a vintage piece that appeared to have been cut from its original frame. The 2nd picture is a closeup of the home, birds, animals, and some of the delightful flowers featured in this sampler. 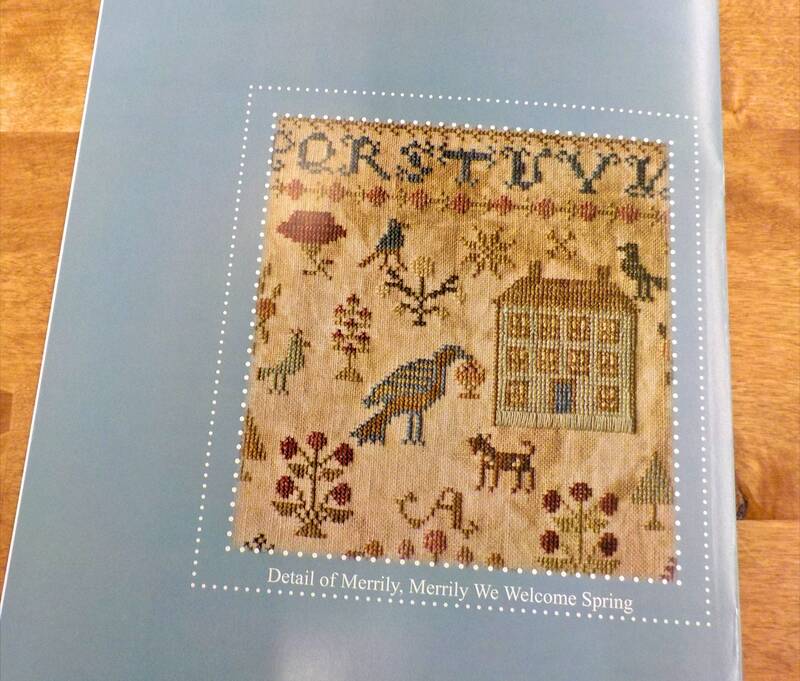 Merrily, Merrily We Welcome Spring measures 15 1/8 x 15 3/8 inches.